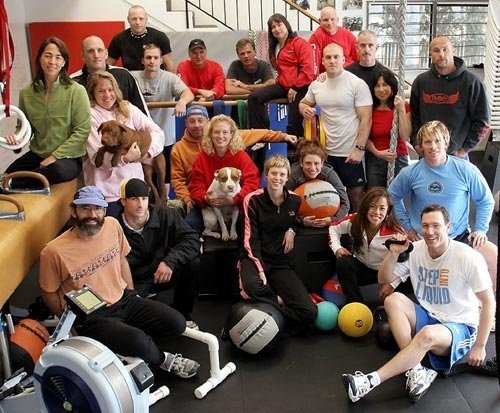 CrossFit Amundson prides itself on honoring the tradition, culture and history of CrossFit. In Santa Cruz County, nobody has been training in CrossFit for as long as Greg Amundson. Greg was a former owner of the very first CrossFit gym and was personally trained and mentored by the Founders of CrossFit. Our workouts are “original CrossFit Headquarters” workouts. Nearly every workout we program at our gym was completed by Greg Amundson and original “Team Six” Athletes at the World’s first CrossFit gym. Greg was meticulous about keeping a fitness journal from his workouts beginning with his very first WOD in December of 2001. (1 round of 1K row, 21 kettlebell swings, 12 pull-ups!) Many workouts at our gym are pulled directly from Greg’s journals and from original CrossFit Headquarters workouts. We place a high emphasis on the three tenants of CrossFit which are: Mechanics, Consistency and THEN intensity. Although we love to train hard, we love even more the pursuit of virtuosity (doing the common, uncommonly well) in functional movement. We also take a “longevity” approach to our training and workouts to ensure you a lifetime of improvement, challenge and reward. For an insiders perspective on the very first days of CrossFit in Santa Cruz County, we recommend reading the CrossFit Journal Article by Greg Amundson called, “CrossFit HQ History.” If you’re “old school” like we are, you’ll love our gym, our workouts and our unique culture. We look forward to seeing you in the gym!